William “Bill” Kreutzmann, Jr. born on the 7th May 1946, is an American musician who became famous as the drummer of rock and roll band The Grateful Dead. So how much is Kreutzmann’s net worth? As of early 2017, it is reported by authoritative sources to be $25 million, acquired during his years in the music industry, from playing with his band The Grateful Dead and other various groups that he toured and played with. 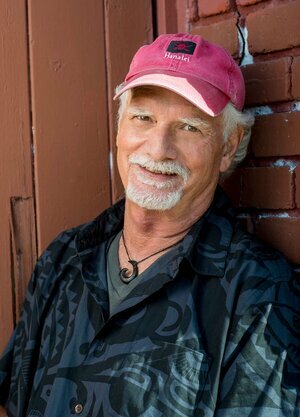 Born in Palo Alto, California, Kreutzmann is the son of Janice Beryl and William Kreutzmann Sr. His love for music started at his home where his parents played jazz and R&B music. When he was in sixth grade, his feelings were hurt when his teacher kicked him out of the room while playing the drums saying that he couldn’t carry a beat. Instead of moping around, he searched for a new teacher outside the school and met Lee Anderson, who didn’t give up on him and taught him how to play the drums. When he was 18 years old, Kreutzmann began playing with a local band called The Legends, and performed around Palo Alto. During this time he also met Jerry Garcia at a local music store when his father sold Garcia a Banjo. He saw Garcia’s passion for music and admired his talent. Soon, Kreutzmann became a member of Garcia’s group, The Warlocks together with Bob Weir, Phil Lesh, and Ron “Pigpen” McKernan. The group began performing around California and later changed their name to The Grateful Dead. After going around town for local performances, the band was signed by Warner Bros, which started their professional career in music and also their net worth. A couple of years later with the band, Kreutzmann met fellow percussionist Mickey Hart. The two became great friends and also became a great tandem on the stage. Because of their amazing talent in playing the drums, the two started to play alongside each other during every performance of the band; even though they were the first band to have two drummers on stage, their synchronicity and power in performing together became The Grateful Dead’s trademark, and the two became musical legends known to fans as “the Rhythm Devils”. The band would go on to perform around the world and release over twenty albums within the span of thirty years. The success of the Grateful Dead helped Kreutzmann to become a sought-after drummer and also tremendously increased his wealth. In 1995, after Garcia passed away, the band went their separate ways. After The Grateful Dead, Kreutzmann decided to live in Hawaii and stayed in the music scene by collaborating with various bands, including Backbone, The Other Ones, BK3, 7 Walkers, and Dead. Other than his involvement in the world of music, Kreutzmann is also a visual artist. In 1995 he produced a documentary entitled the “Ocean Spirit” and has some digital works displayed at Walnut Street Gallery. He also wrote a memoir entitled “Deal: My Three Decades of Drumming, Dreams, and Drugs with the Grateful Dead” which was published in 2015. In terms of his personal life, Kreutzmann lives in Hawaii with his wife Amy, and together they have two children, Justin and Stacy. Parents Janice Beryl, William Kreutzmann Sr.
1 Inducted into the Rock and Roll Hall of Fame (as a member of the Grateful Dead)in 1994. Grateful Dead: Dead Ahead 1981 Video writer: "Franklin's Tower"